Samsung has been working on a smartphone that folds out into a tablet, dubbed Galaxy X, for a while now but only recently have rumours started to leak about its imminent release. Samsung, famous for its OLED display manufacturing, has already shown off prototypes of foldable displays. Now, in an official Samsung earnings call the company has revealed its plans to move those folding screens into its devices. “As for the Mobile business, Samsung will continue its efforts to differentiate its smartphones by adopting cutting-edge technologies, such as foldable OLED displays,” Samsung bluntly revealed. Rumours have suggested the unofficially named Galaxy X will be a smartphone that sports a 7.3-inch OLED screen in smartphone mode which folds out to become a larger tablet. This isn’t the first time a Samsung earnings call has mentioned a foldable display, in fact it’s the third. 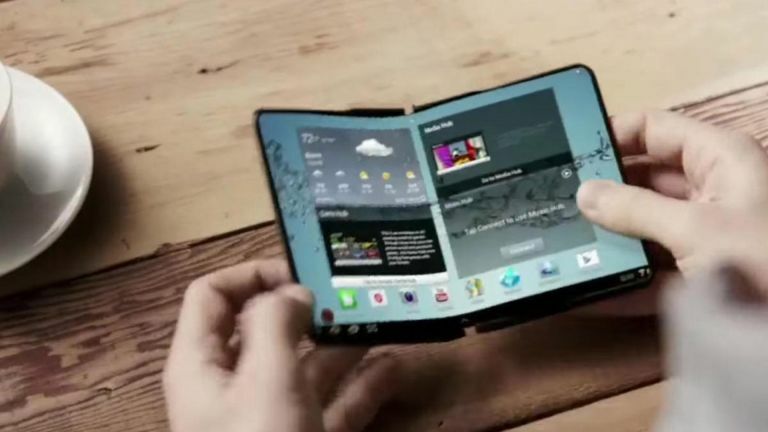 However, that isn’t to say 2018 won’t be the year we actually see the foldable phone become a reality. However it might not be Samsung that gets there first. China’s ZTE released the Axon M last year - although this has two screens which fold along a hinge, so we’re not counting that as the real deal just yet. A Samsung phone with a single seamless OLED screen which folds down to fit in a pocket is a whole new level of device we’re looking forward to seeing soon. Find out what phones Samsung will be releasing this March in our Mobile World Congress 2018 roundup.